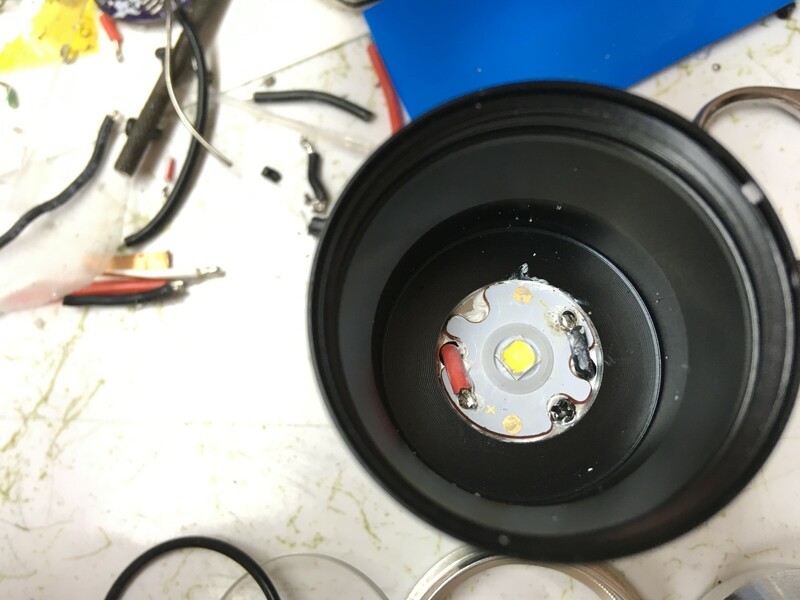 I was asked by Tracy at Sofirn to review a couple of lights. 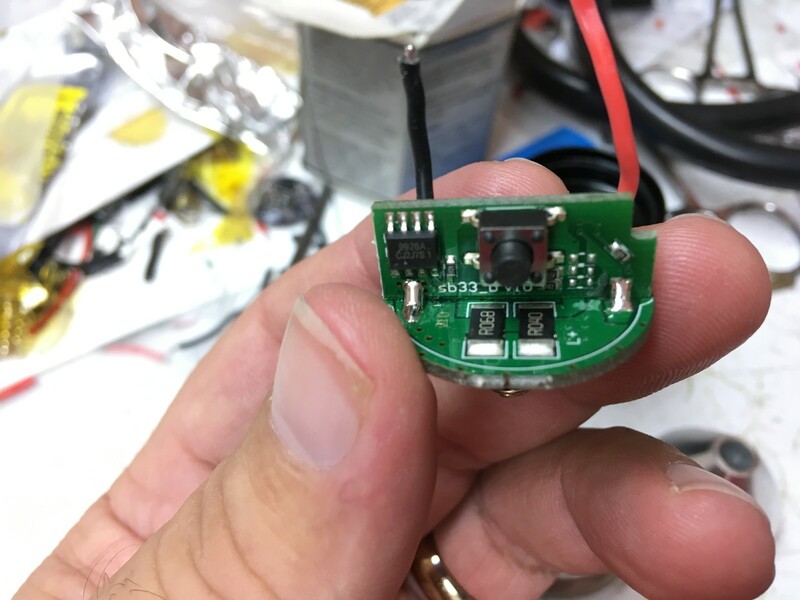 This first one is the SP33, a new side switch light with lighted battery level indicator in the side switch, similar to some Thrunite lights and the UTorch UT02. The AliExpress store listings show it HERE in the $25 range, a good deal for this light in my opinion. 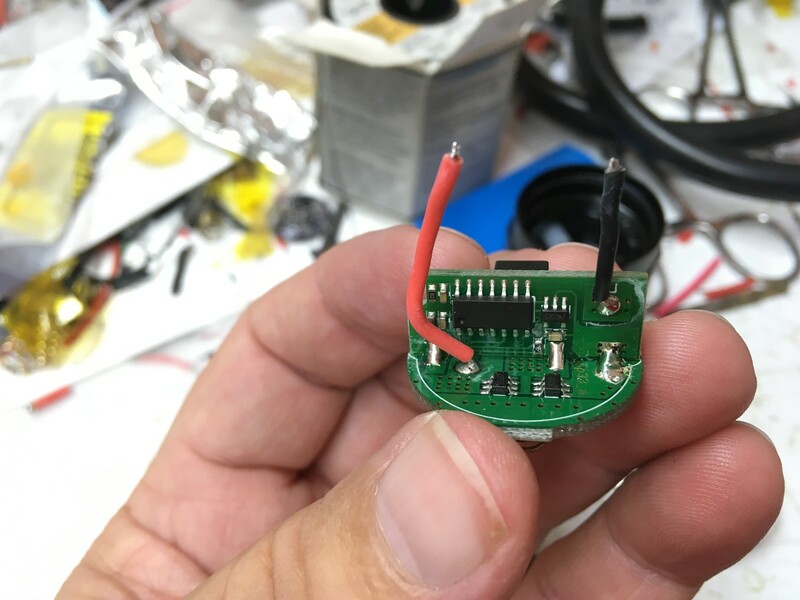 The AliExpress site above shows it coming with a cell and a small single cell charger… I didn’t receive those with this sample light but it did come in the nice box shown and it has the adapter sleeve to allow use of 18650 cells. Notice：Turbo brightness level automatically turns to High brightness level after working 5 minutes, so the running-time of Turbo brightness level is accumulated time. ※ Use CREE XP-L LED with a lifespan of 100,000 hours. ※ The waterproof level is IP68, it can be used in rainstorm. Off : Please double clicks the side switch to lock, the signal is that the light flashes twice times. OFF and Lock out: please double clicks the side switch to unlock. The signal is that the light turn on in a previously used mode. ※Low Voltage Protection: lower than 2.8 Volts, the flashlight turns off automatically to avoid over-discharge. If then reactivate it, the Low Voltage protection function does not work. 2, click the side switch to cycle through LL→Low→Mid→High→Turbo. 3, When unlock, three clicks to turn on”Strobe”, and one click to turn back. When the light is off, please double clicks to activate the “Lock-out” function, “lock-out” works when the light flashes 2 times. When the light is lock-out, please double clicks to unlock, then the light turn back to the previously used mode. LED flashlight is high intensity lighting, and equipment can cause eye damage, avoid direct exposure to the eyes. The emitter appears to be a Genuine Cree XP-L HD, it’s probably a 3C tint as it’s a very nice Neutral White in color. This is a nicely made light, the finish is clean and well done, the knurling is grippy without being sharp, overall fit and finish are as good as any light you’re likely to receive from anybody… albeit not the matte finish of some. The reflector is well made and the beam profile is much to my liking with a defined hot spot, gentle aura, and notably faint spill. Very useful in a lot of general application type scenario’s. Strobe seems to be on the level of the highest output and is hidden behind a double click when on. At this point, I have to say this one is a well made light and I like it quite a bit. Thanks Tracy, job well done! The next thing to point out is that the driver retaining ring is left-hand thread, turns to the right to remove. This is good, seeing as how you have to unscrew the battery tube to get to the cell. The threads are separate from the tube threads, which is how this works out. Check out the MCU on this one! 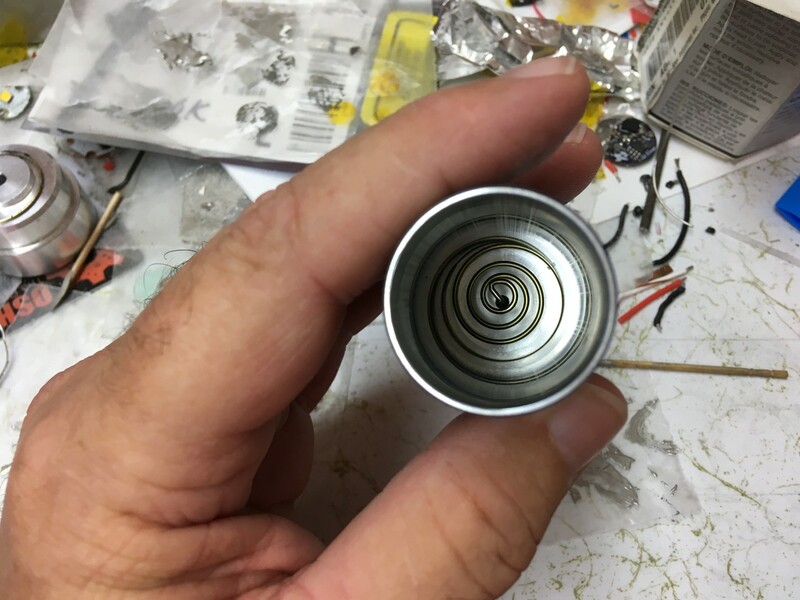 This is a Stainless Steel bezel that fits down over the top of the reflector, with the lens pressing the o-ring into a shelf at the outer top edge of the reflector. Well made, a bit difficult to reassemble as the o-ring is on the small side. The mcpcb is copper, but not direct thermal path. Inside the driver bay… note that the vertical pcb which holds the switch is slotted into the bay so it won’t be able to be pressed askew by the switch. Nice stable set-up. Well done! Now I get readings like this, with the XP-L emitter transferred to a BLF Special Edition Alex Wells DTP 16mm mcpcb…. I like this one, quite a lot actually. Hope y’all find it as well made and easy to use as I do! nice find,waiting for more pics! Might be a good host for Narsil drivers. Thanks for the first view, looking forward to the tear down. the beam profile is much to my liking with a defined hot spot, gentle aura, and notably faint spill. Very useful in a lot of general application type scenario’s. So, would you say the beam pattern is somewhere half way between a thrower and a flooder? The beam is closer to a stock C8 in profile, with a semi-large hot spot due to the domed XP-L. I’m even thinking this may be an XP-L2 as the flats on the sides are smaller, that’s the only way I know to tell the XP-L apart from the XP-L2. It’s nice, the tint is really nice as well with it being a hint on the warm side of pure white…. gentle on the eyes without being overly tinted in the warm direction. De-soldering the emitter it was quickly noticeable that the heat spread throughout the head, so the design is efficient even without a DTP MCPCB. All in all, I find it fairly impressive and a good competition for the big name brands out there. Thanks for the review, Dale. Interesting light, just ordered one. Could be a great host for XHP with TIR. Have you by chance measured the size of the driver and the reflector? Yes, no different than a great many e-switch only flashlights. Double click to put in lockout, double click to remove lockout. Edit: Gotta admit, watching that “no” reaction is funny. 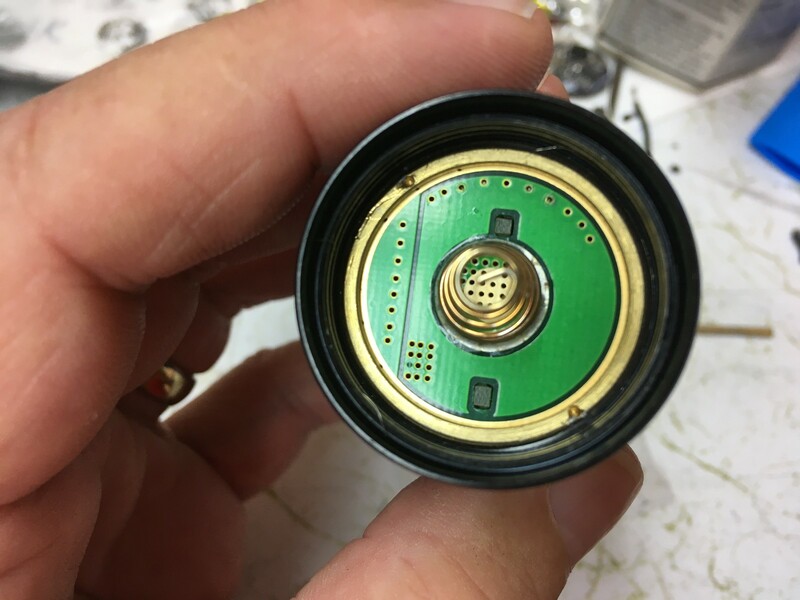 Looks like (without removing it) the driver is 26.2mm diameter, the left hand thread brass retaining ring has a shelf in it that the driver sits into, centering the driver and making good solid ground contact. And the lens is approx 30.8mm. The reflector opening is 27mm. Is there 1 o-ring around the reflector, but none between the lens and the reflector, or the bezel and the lens? Seems like you would need an o-ring around the outside of the bezel threads, and one in between the glass and bezel to keep water out. That’s what I thought too. There is the one o-ring between reflector/lens/inside of bezel, but no o-ring between the bezel and head. What stops ingress between the bezel and head? For all that they did right, they may have missed something right there. Should be an o-ring up at the top of the threads on the SS bezel and a landing inside the aluminum head. 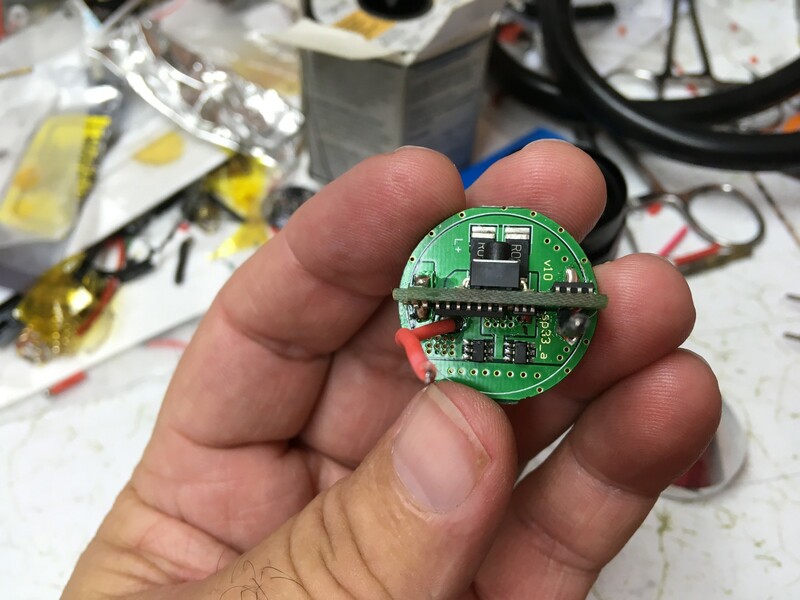 Edit: Ok, so I checked the actual physical aspect of the bezel and head… there is indeed an o-ring groove in the SS bezel and there is a landing, there just wasn’t an o-ring applied. There are 2 extra o-rings in the bag included in the box so I put one on the bezel and it does fit to seal, so that’s covered even if they left it out on my sample when assembling the light. Edit II: In a similar way that the newer Eagle Eye X6’s have a ramped shelf on the reflector that squeezes the o-ring out into the bezel, this one does the same thing. When tightened down the bezel is sealed by the o-ring on top of the reflector in a 3 way contact of lens/reflector/bezel. It’s somewhat difficult to get this o-ring to spread out into this shelf once taken apart, I found that a back and forth on/off as I tightened it allowed it to flare out into the reflector shelf. So, if there’s no o-ring sealing where the lens sits up against the bezel, can water get past the lens around the inside of the bezel and down into reflector housing? or do you think that o-ring around the reflector sufficiently seals that off? It seems as though the o-ring around the reflector get’s smashed out into the sides of the bezel, like the Eagle Eye X6. When putting the reflector/o-ring/lens into the SS bezel it wants to hang up on the o-ring, so when tightened it should press out and make the seal. Ok sounds good. Nice review btw! I have an Lumintop SD26 that is of comparable size. The Lumintop has a fancier X patterned knurling and a slightly larger head diameter but they’re pretty close to the same overall size. The hot spot from the Sofirn SP33 is smaller but both are well defined. The Lumintop emitter color is blue-white, as compared to what is a now noticeable pink or slightly rosy hue in the Sofirn. I had thought the Sofirn hue was around a 3C, and that may well be, but it’s either that or a 3D. The Sofirn has the lighted side switch cover, a nice touch, and also a SS bezel, again a nice touch. The Sofirn also comes in around half the price of the Lumintop, so all in all it’s a nice deal on a well made light. 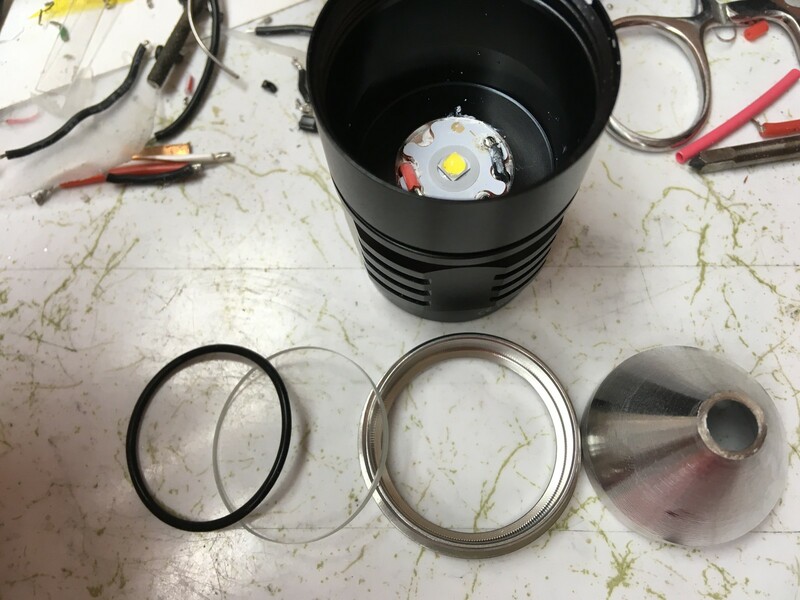 Great review Dale, and really interesting light, Sofirn also have some new C8 models with 5,6Amp on highest level in stock with XPL , and 1700+ lumens they claim… Also driver have two setup with moonlight, and without blinking modes. They look good as Thorfire C8, so I am tempting to order one from Ali store. Not really. The side switch design is all wrong. You need a light with a seperate switch, not one built into the driver. 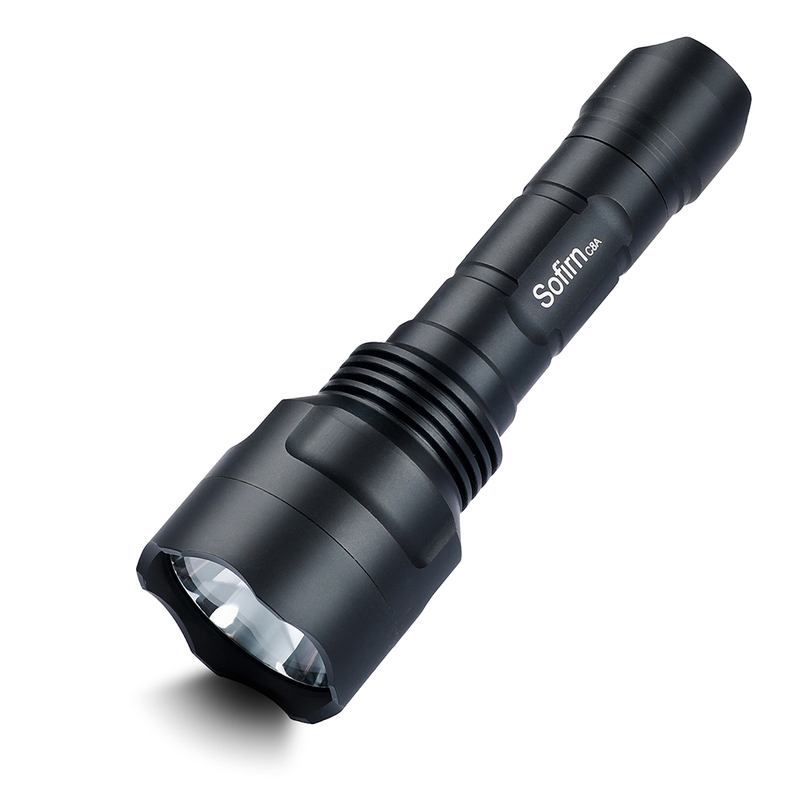 I was searching this forum for a 26650 flashlight and settled for the sofirn one but apparently that model has been recently upgraded. Those are the notable differences I found. ※ Aerospace grade 6061 grade aluminum alloy, CNC manufactured to hard-anodized anti-abrasive finish to get solid built body, anti-crash geometry and better heat exchange. ※ Advanced Temperature Regulation (ATR) technology: ATR will adjust the brightness automatically when the temperature reaches 55℃ (131 °F) to prevent overheating. ※ Automatic Step-down: Turbo mode steps down to High mode after 2 minutes of working to prevent overheating. Step-down and Advanced Temperature Regulation (ATR) coexist. ※ Power Indicator: The LED indicator on side switch displays Green for 5 seconds if remaining battery power is good. The indicator is Red, if battery power is poor. Red Flashes indicates extremely low power - replace or recharge battery as soon as possible. Has anyone else noticed or reviewed the updated version ? Yes, I recently became aware of this updated version when Sofirn asked me to translate the new manual into German language. 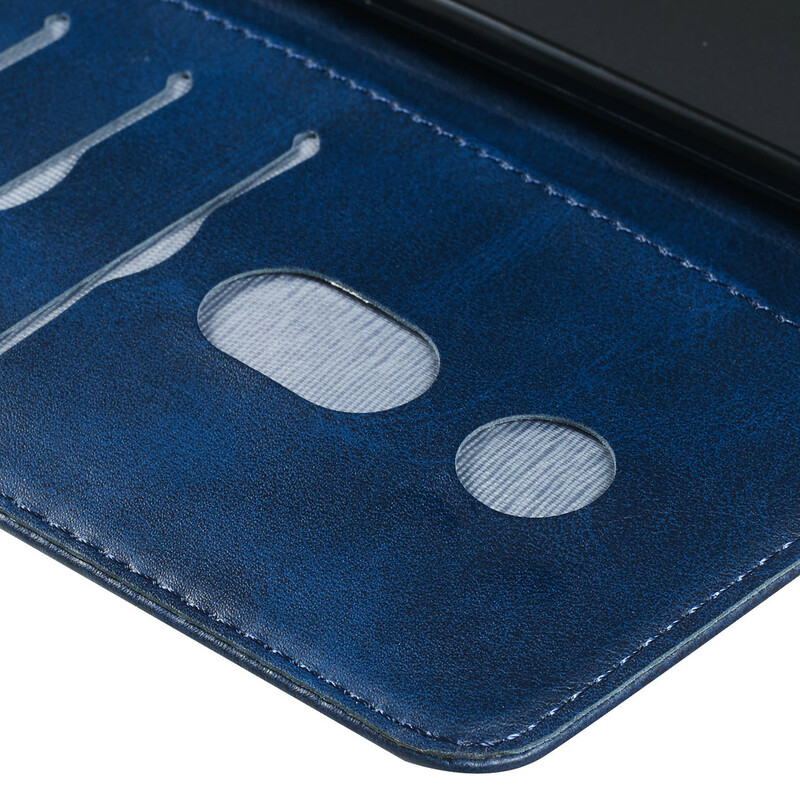 AFAIK it's more or less some kind of a "silent relaunch" with the new XHP50.2 version and according to their webshop on AliExpress it has started to roll out this month. I have purchased it for something like $ 23,- which is in my opinion a really nice price. They might also offer it on Amazon later on both with and without battery and charger just like they did with the C8F 21700 but this is yet to be confirmed by Sofirn. Thanks for the heads up, hadn’t seen that. 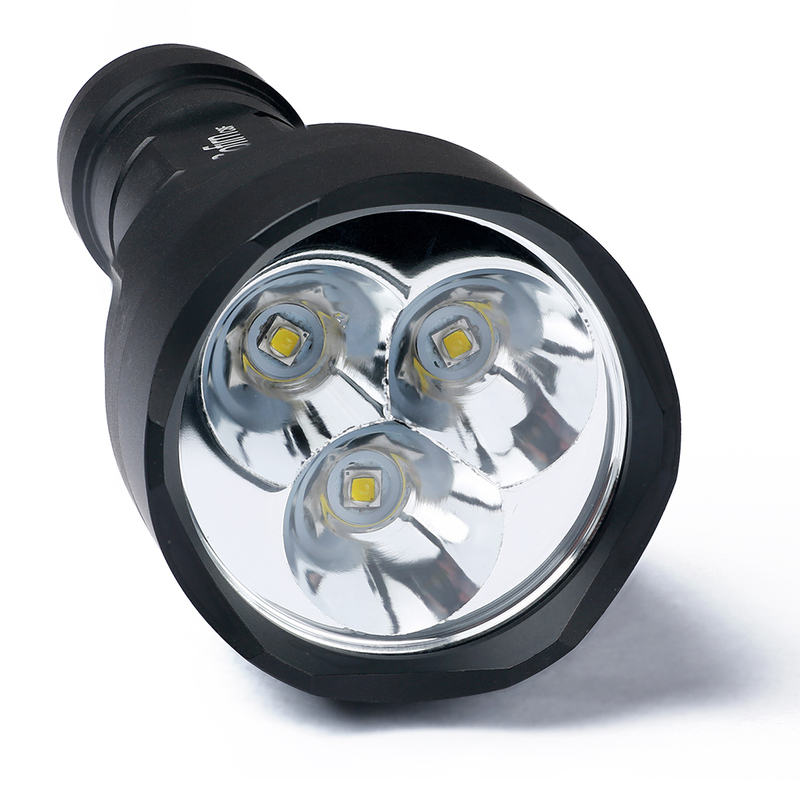 About how many lumens does it put out with the new XHP50.2? What do you think the change in emitter will do to the hotspot? I’m becoming more and more interested in 26650 lights. This could be a nice addition. The XHP50.2 is going to be a tint mix of the rainbow. Not as bad as an XHP70.2, but still worse than the XHP50. So around 2250 lumens that it would output I reckon.